JUST HOW SHARP ARE KING COBRA FANGS? Close-up shot. 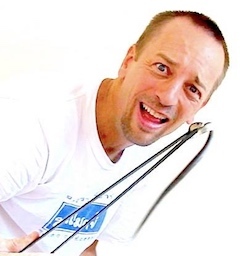 The fang is easily 3 times smaller in diameter than this very thin needle. Scroll to bottom of page to see the difference in size and sharpness of the points of both. 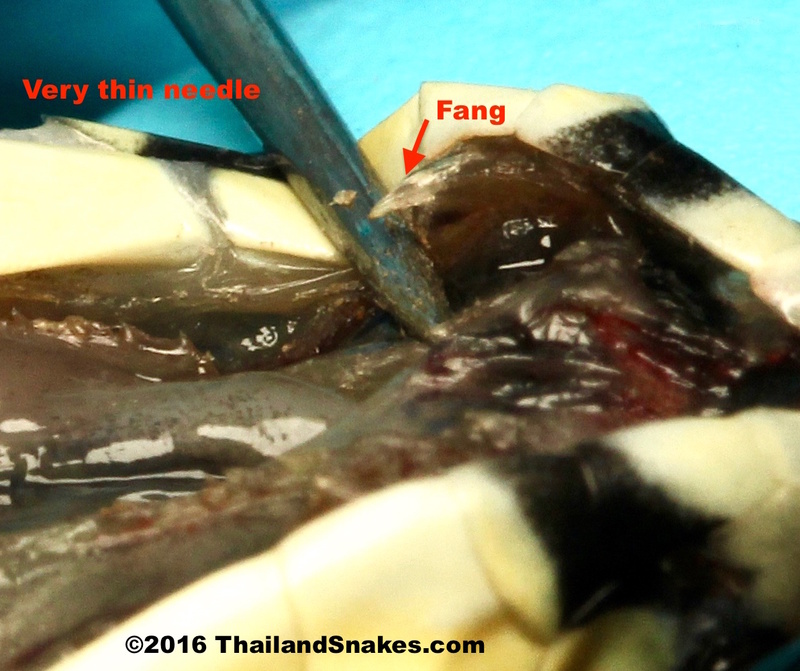 Here is the image showing the fang location in the juvenile King Cobra’s upper jaw. Juvenile King Cobra fangs are not just sharp, they are ULTRA SHARP. After seeing with our own eyes how small the fangs appeared, we gently pulled the majestic King Cobra juvenile out of our ziplock baggie and went to work on the difficult task of photographing the fangs. We decided to focus on just one fang because the depth of field was just a couple of millimeters at that magnification (1:1). This recently hatched King Cobra – estimated age at less than 2 weeks, was found on a road just outside of town. I have never found one before of this size, though I’ve seen a number of larger dead on the road kings in this area. We do seem to have a lot of King Cobras here – the local King Cobra show typically gets dozens each spring as they are found while out looking for mates. 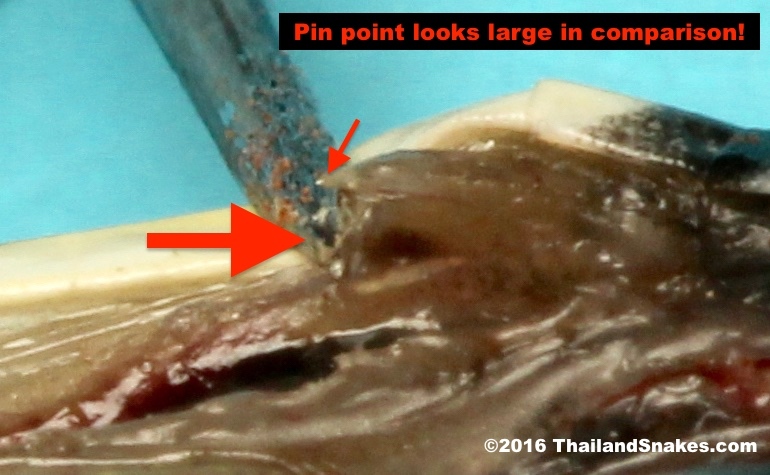 Finally, here is an image showing just how sharp the King Cobra’s fang is in relation to the point of the needle. Scary sharp! The fang is hypodermic needle sharp! Wish we had one to compare with. And you’d be wrong. Actually, this study (still trying to find it! ), shows that the potency of King Cobra venom changes with time. 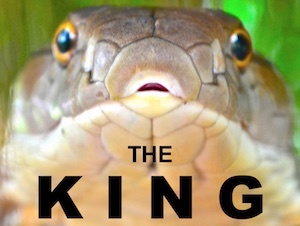 When Kings are young, they have extremely potent venom, on par with that of the venomous kraits – some of the most toxic venom on the planet. As they get older, the toxicity decreases as the capacity to hold more volume in the venom sacs increases. 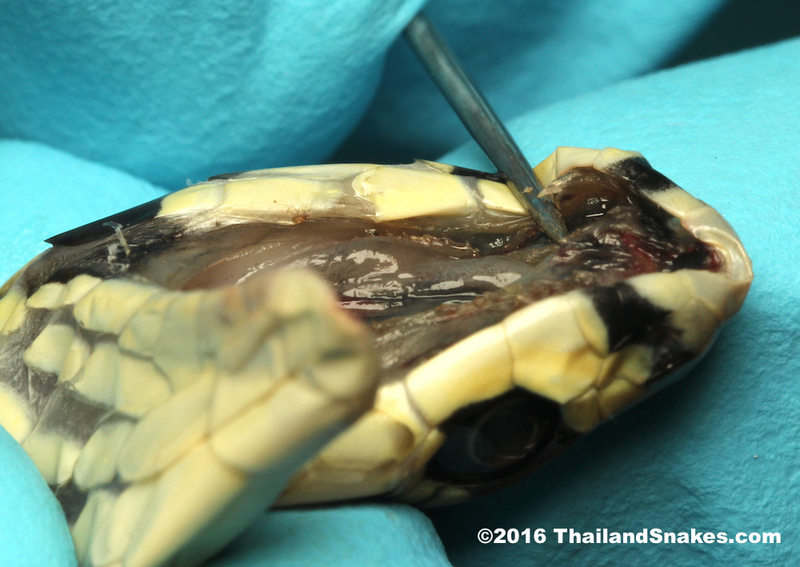 A young King Cobra bite can be potentially fatal, just like any other cobra in Thailand. DON’T EVER HANDLE VENOMOUS SNAKES! 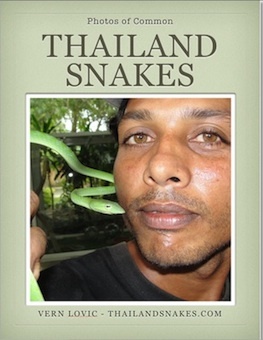 ©2016 ThailandSnakes. Images by Elliot Pelling and used with permission. Special thanks to Elliot Pelling and Marc Littlewood for allowing us to do a little science on this juvenile DOR King Cobra.